Patterns, Patterns, and More Patterns!! The last month has been a creative roller coaster over here. I released two new patterns, and I am working on sending my third to testers as we speak. I have loved every second of it. Here are the two released ones as well as the newest one! 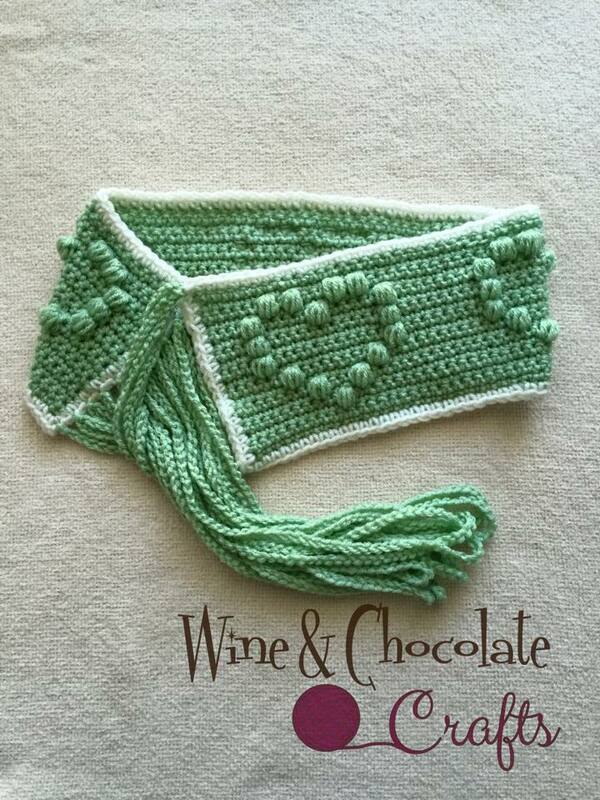 And introducing, the Lovely Hearts Wrap! 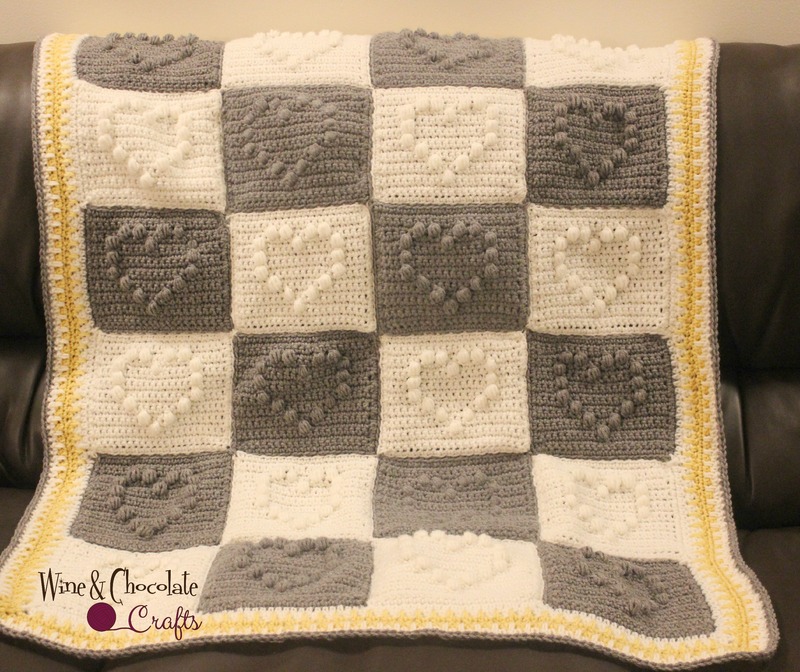 This pattern will be super versatile! It allows you to make a cape, neck wrap, scarf, belt… the options are endless! I can’t believe that my second original pattern is out to testers! I am loving the ability to work up my own ideas into completed pieces, and even more the fact that I get to share it with fellow crochet people. It has been such a humbling and exhilarating experience. I already have a ton of new ideas for new designs, and I look forward to a summer full of new patterns! In the meantime, let me introduce: Flowery Friend! 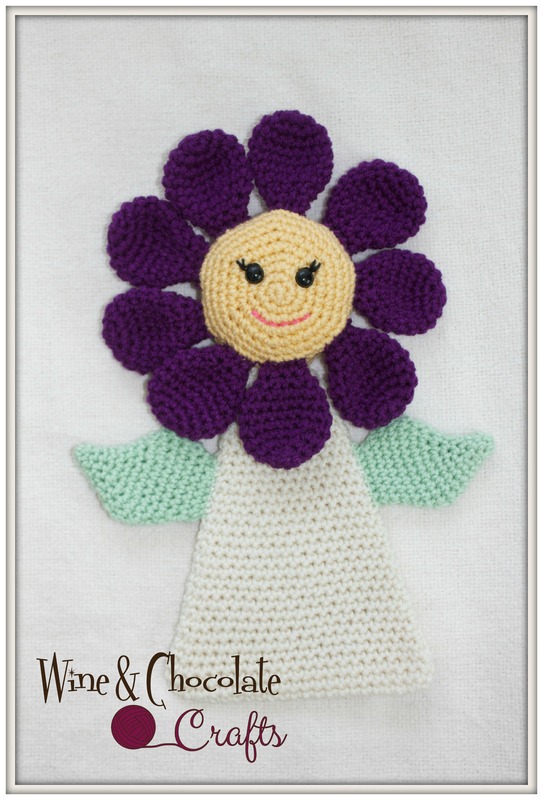 She is a cuddly flower, perfect for those new squishy babies in your life. She stands at 15″ tall, so it will grow with baby, being their first and closest friend. While we wait for the testers to work their magic, here is a picture! … and the effect has been fast and furious. I have been working on this pattern for weeks. Finally, as of today, the pattern is getting ready to go out to testers. Ever since I learned to crochet, I have always wondered what it would feel like to create my own design, what it would feel like for people all over to create something of my own invention. I have spent weeks counting stitches, frogging and remaking the rectangles, looking for the perfect combination to create the perfect pattern. Today, I finally put out a tester call. I am ready for judgment time; for other crochet enthusiasts like me to look at my work and give me their feedback; from someone outside my overthinking brain to count the stitches I spent months counting myself, to read my instructions and tell me if the maniacal ramblings that go on in my head make sense for someone else. For someone to validate my wish to become a crochet designer. Now, I wait. I wait for the brave souls who will test this pattern for me. While, to some, this may be just a blanket, this is a stepping stone for me, a beginning of new things, of better times to come. I received Yves Saint Laurent newly redesigned mascara complimentary from Influenster for testing purposes. They say the best things in life are free, and this mascara may just live to that standard. I am very particular to which mascara I’ll use. I absolutely love Younique’s Moodstruck 3D Fiber Lashes ($29), but I can’t wear them everyday, so I have to pick a mascara that will give me enough volume for my lashes to show, but not too much so it gives me a more natural look. Until today, I have been using Light’s, Camera, Lashes 4-In-1 Mascara by Tarte ($20), and I have to say, It would be pretty hard to match that one in my book. However, I have found YSL to be a fair contender. You read that right. This mascara has a beautiful scent to it. I am not really used to my makeup smelling delicious, so this was a very pleasant surprise! Influenster sent me the mascara in “High Density Black”, which is a good thing, since I am not huge about color mascara. However, this one comes in 6 different, very pigmented colors, which is great because it makes it a very versatile line. The new formula is enriched with B5 Vitamins, which makes my lashes not look so dry and clumpy, which is often a problem for me. I also found that my lashes kept their volume for a while without smudging, which was super nice, especially since I tested it while walking in the rain! The brush is made of nylon fibers rather than the thicker stuff I have found in some of the drugstore brands I’ve tried. I have found that it gives my itty bitty lashes a pretty decent amount of volume, and the color spreads fairly even. It has none. Unless you use a curler prior to applying, you’ll most likely end up with straight lashes, which isn’t a great look. If you want that false lashes look that the mascara is supposed to achieve, you’ll need at least 2 layers of this mascara. You have to wait for the first one to dry, and then reapply. I have never had this issue with my Tarte or Younique mascaras, so this was a huge let down. I think this mascara takes “waterproof” a little too seriously. I use Dior Instant Eye Makeup Remover ($30), which is amazing, and I never have to use more than one cotton pad to remove my eye makeup, but YSL is the exemption. There is some serious effort needed to get all of it off. Overall, I’d give this mascara an A-. While there are certainly more pros than cons to it, I think the lack of curl to it is a huge issue (for me at least). I have super short, straight lashes, so while it gives me some serious volume and depth, It takes some extra time to do, which isn’t what I am used to with my Tarte mascara. ddler, keeping up with my crochet business, and starting as an Independent Younique Presenter, has been keeping me either very busy, or very tired, which makes it kind of difficult to actually sit down and get this blog going. With the “No Day But Today” mentality (and my love of Broadway showing), here I am. There is no real topic to this blog. So, be prepared to hear about anything and everything that comes up, from crochet to makeup to food to incessant rambling, that’s what I am here to dish out! Buckle up, friends, because life is about to get Craftyful!